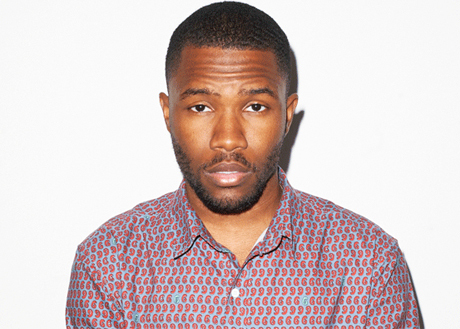 Owner of perhaps this year's most unique backstory, R&B artist Frank Ocean's ascendance into the mainstream was a perfect storm of promotion, guile and authenticity that ultimately delivered a few industry lessons. When, in June 2012, Frank Ocean publicly posted a letter on his Tumblr outlining his unrequited feelings for an unnamed man, it was taken in various contexts: calculated promotional stunt to push units, or a new era of progressive hip-hop culture? Savvy businessman or sincere artiste? Months removed, the 24-year-old's sexual declaration should be looked at as a small enlightened step for urban music and a larger statement on the progressive social climate he inhabits. The juxtaposition between the outwardly homophobic lyrics and rhetoric of his Odd Future brethren to Ocean's declarative missive on sexual politics reveals a culture in flux — with all the social hypocrisy and incongruities that entails. For all intents and purposes, Frank Ocean represents contemporary rhythm & blues, a traditional genre that spawned and subsequently was buried by dance- and soul-flavoured mainstream pop. Despite not fitting the mould of the conventional R&B superstar, Ocean has dodged "alternative" and "progressive" labels to represent the genre in the modern day. Channel Orange's reworking of the traditional "love and loss" tropes redefine the genre and what it means to make a stylized and successful (read: marketable) R&B project in the new millennium. Ocean's marketing triumphs — in the face of next to no interviews or public appearances — demonstrates an overall willingness to shun the traditional media machine. Engaging more directly with fans via tools like social media, mixtapes and blogs while at the same time intentionally controlling access and image hint at an emerging promotional paradigm where traditional media is increasing losing its place at the "make or break" career table. Ocean's concert appearances in 2012 have all demonstrated a consistent "substance over style" pattern. His seeming withdrawn and nervous nature notwithstanding, it can be argued that connecting with the music rather than being concerned about gimmicks or showmanship is working in his favour. And in the case of his live TV appearance on Saturday Night Live in September, his minimalist yet powerful set — including a casual John Meyer guest spot and old school Galaga arcade motif — prove that his unwillingness to play by industry rules is perhaps setting a template for urban artists to come.